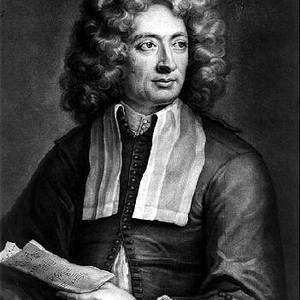 Arcangelo Corelli (17 February 1653?8 January 1713) was an influential Italian violinist and composer of baroque music. Corelli was born at Fusignano, in the present-day province of Ravenna. Little is known about his early life. His master on the violin was Bassani, and Matteo Simonelli, the well-known singer of the pope's chapel, taught him composition. His first major success was gained in Paris at the age of nineteen, and to this he owed his European reputation. Corelli was born at Fusignano, in the present-day province of Ravenna. Little is known about his early life. His master on the violin was Bassani, and Matteo Simonelli, the well-known singer of the pope's chapel, taught him composition. In 1685 Corelli was in Rome, where he led the festival performances of music for Queen Christina of Sweden and he was also a favorite of Cardinal Pietro Ottoboni (who in 1689 became Pope Alexander VIII). From 1689 to 1690 he was in Modena; the Duke of Modena was generous to him. In 1708 he returned to Rome, living in the palace of Cardinal Ottoboni. His visit to Naples, at the invitation of the king, took place in the same year. However, Corelli used only a limited portion of his instrument's capabilities. This may be seen from his writings; the parts for violin never proceed above D on the highest string, the highest note in the third position; it is said that he refused to play a passage which extended to A in altissimo in the overture to Handel's oratorio Trionfo del Tempo (premiered in Rome, 1708), and took serious offence when the composer played the note. Nevertheless, his compositions for the instrument mark an epoch in the history of chamber music; his influence was not confined to his own country. Even Johann Sebastian Bach is said to have deferred to him, and he is considered one of Antonio Vivaldi's greatest influences. Six collections of concerti, sonatas, and minor pieces for violin, with accompaniment of other instruments, besides several concerted pieces for strings, are authentically ascribed to Corelli. The most important of these is the XII Suonati a violino e violone o cimbalo, opus 5 (Rome, 1700). Corelli is also noted for the Twelve Concerti Grossi, opus 6, which is arguably one of his most famous works.